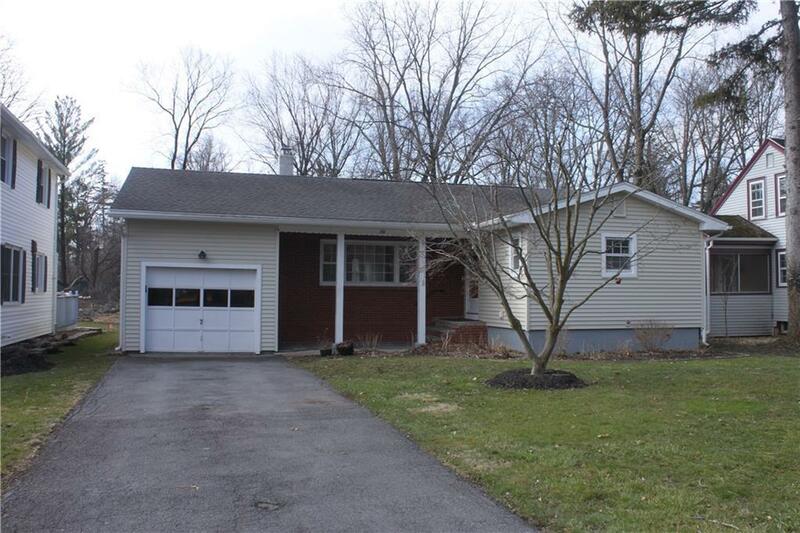 301 Lafayette Avenue, Geneva, NY.| MLS# R1109704 | Coldwell Banker Finger Lakes | 315-789-6768 | Geneva NY Homes for Sale, FINGER LAKES PROPERTIES, Seneca Lake, Cayuga Lake, All of the Finger Lakes. Nice 3 bed room 1.5 bath ranch home located on a dead end street. Hardwood floors in livingroom & bedrms, 1 car attached garage, back deck with awning overlooking deep yard. Basement waterproofed, newer roof -siding & gutters, central air. Directions To Property: Starting From Castle Street, Right Onto Hillcrest Ave., Left Onto Lafayette Ave Ext., Home On The Left. Nearest Cross Street: Hillcrest Ave.